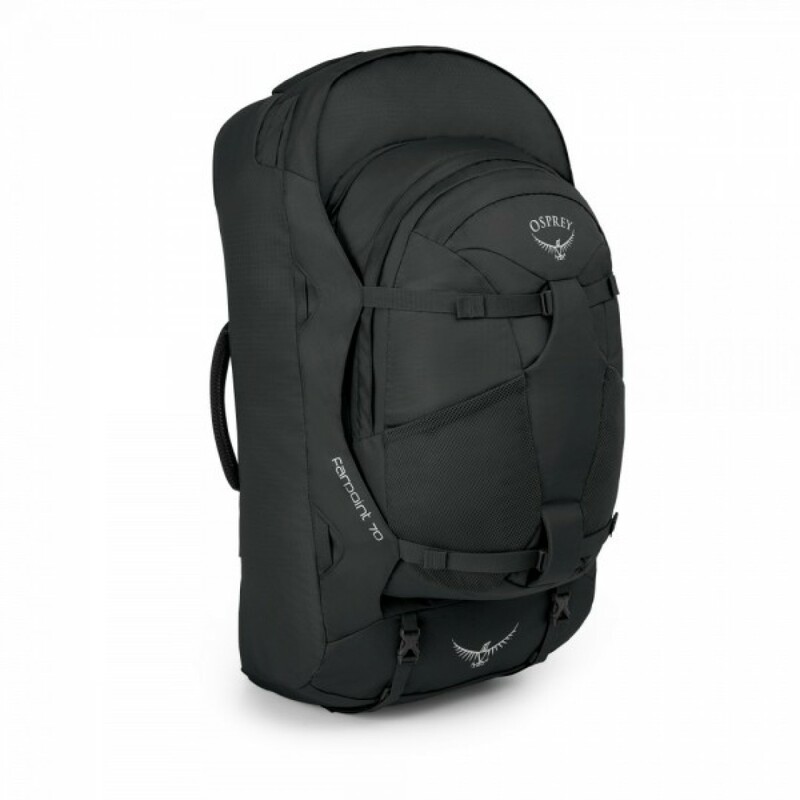 Osprey travel bag-backpack Farpoint 70 is a traveler’s dream. 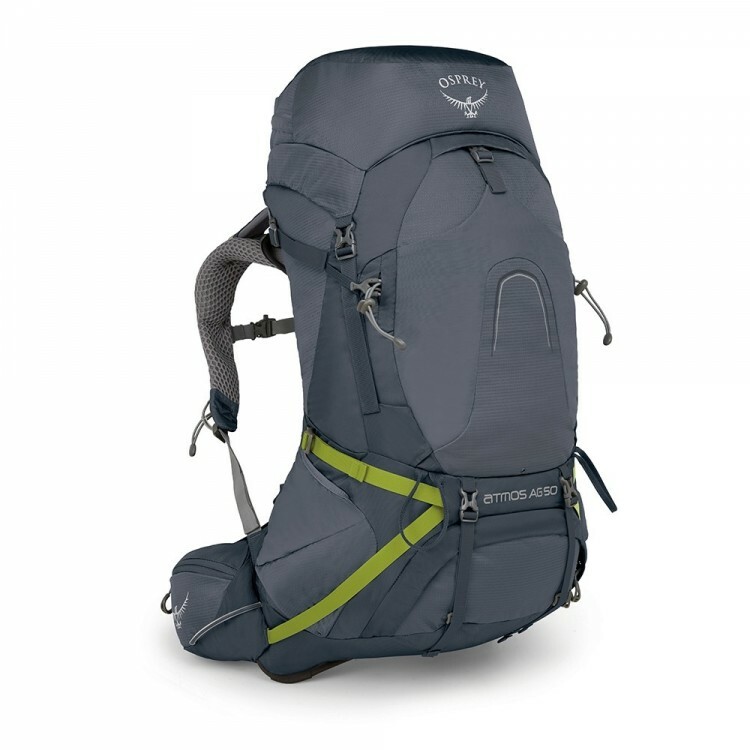 At roughly 67 liters and 3 pounds 14 ounces, the Farpoint 70 is a few inches over most FAA carry-on limits, but, thanks to a 15 liter zip and clip detachable daypack, this piece of Osprey luggage is still ideal for travel. 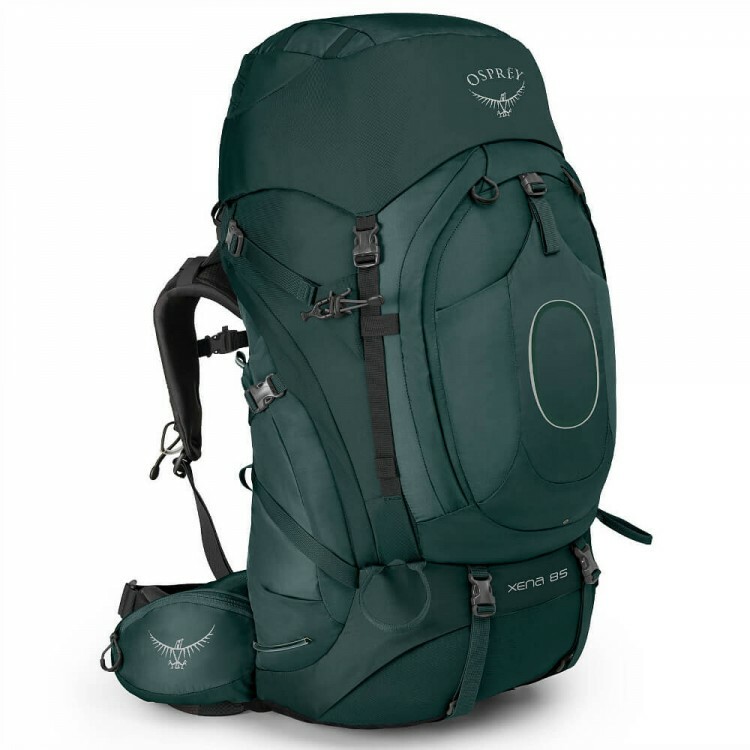 With a rugged 420D nylon fabric, top and side handles for multiple carrying options and shoulder straps that can be tucked away, this Osprey backpack is great for air/rail excursions. 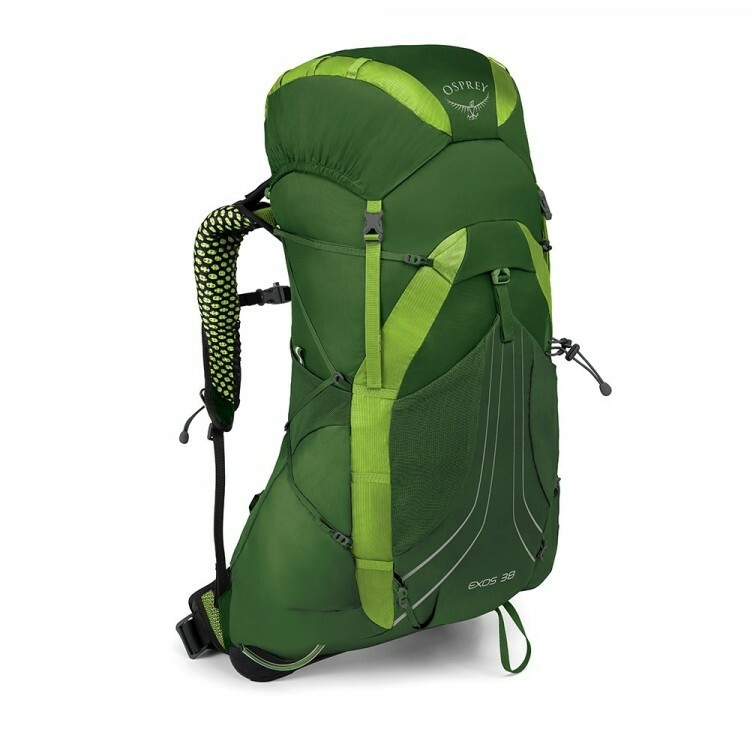 The main compartment offers 55 liters of space with internal organization pockets for easy packing. Once there, you can unload at your hotel and use the daypack to carry an extra layer, camera, journal and some snacks while exploring an ancient European village. 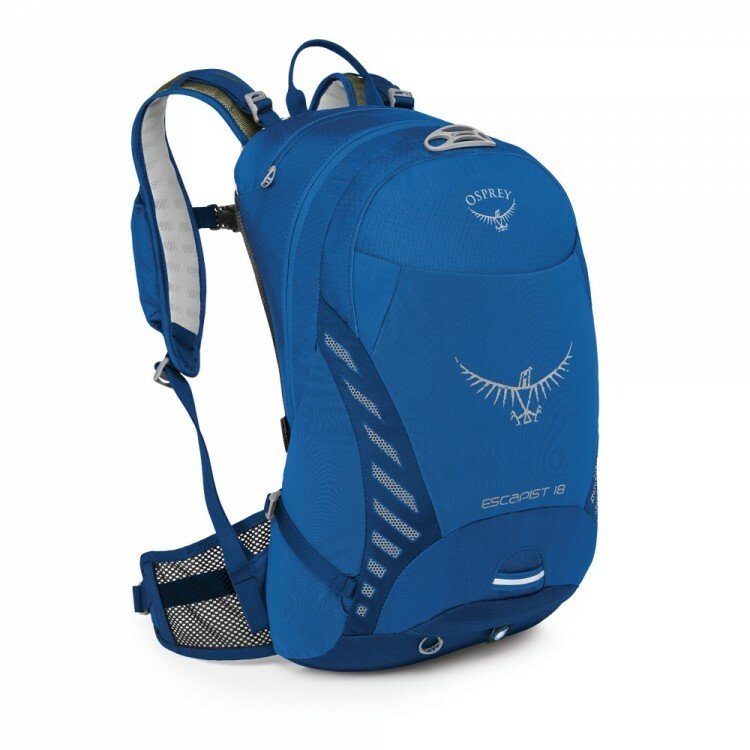 If you prefer to foot it, keep the daypack attached while comfortably carrying about 40 pounds of gear down the Portuguese coast thanks to a LightWire alloy frame, AirScape backpanel and ErgoPull hipbelt.